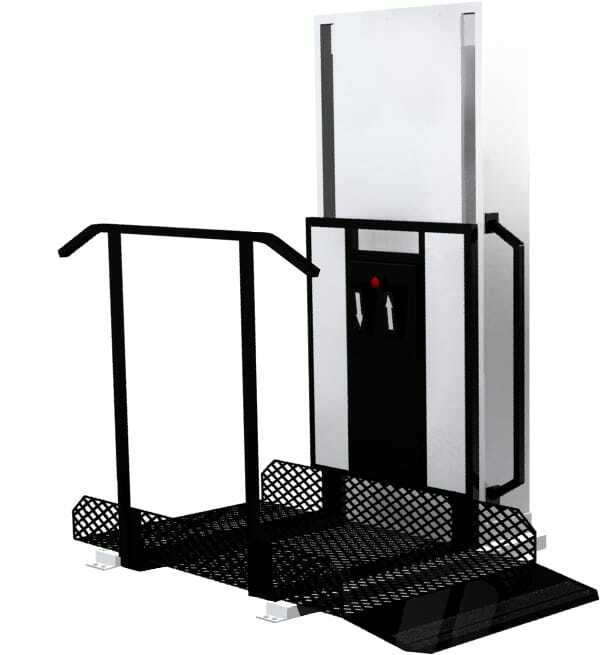 Trus-T-Lift™ Wheelchair lifts for your home are safe and eliminate the need to transition in and out of your wheelchair, particularly in rooms with limited space. 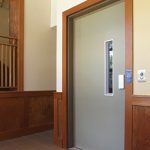 Powered with our geared belt system that avoids belt slippage, our quiet ADA-compliant platform lifts provide a smooth, secure move from floor to floor and can elevate as high as 14 feet to circumvent troublesome stairwells. Every Trus-T-Lift™ is equipped with a straight-forward, easy-to-read control panel. Our patented “Soft Touch Controls” and simple emergency precautions give you piece of mind while operating your house wheelchair lift. The non-slip metal platforms, high-sided safety rails and reinforced wheel-guards reduce the risk of injury. The wheel-guards flip up to prevent rolling while the lift is in use. 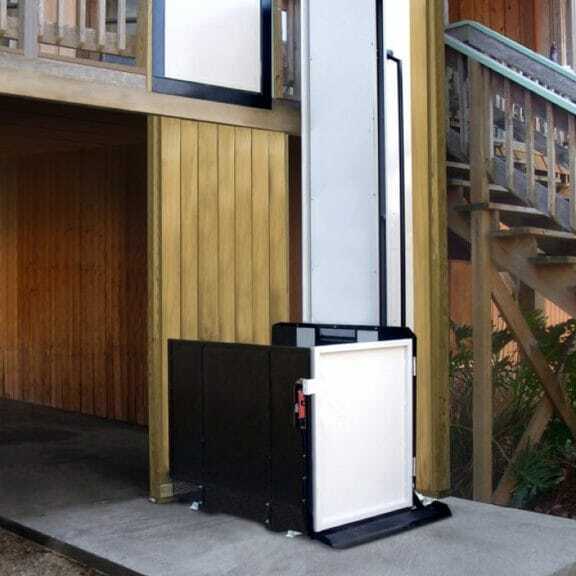 Structurally solid, vertical home platform lifts are versatile and durable. 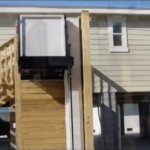 Built to withstand even the coldest of North American winters, our reliable outdoor wheelchair lifts have flood-proof technology and can be trusted in temperatures as low as -40ºC due to our proprietary “Zero Load” start up technology that not only avoids cold weather issues but also increases the life of your lift. 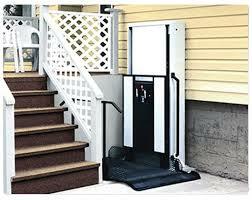 Installing a wheelchair lift beside an elevated porch or patio, gives you the freedom to come and go.